Keep your dog safe! 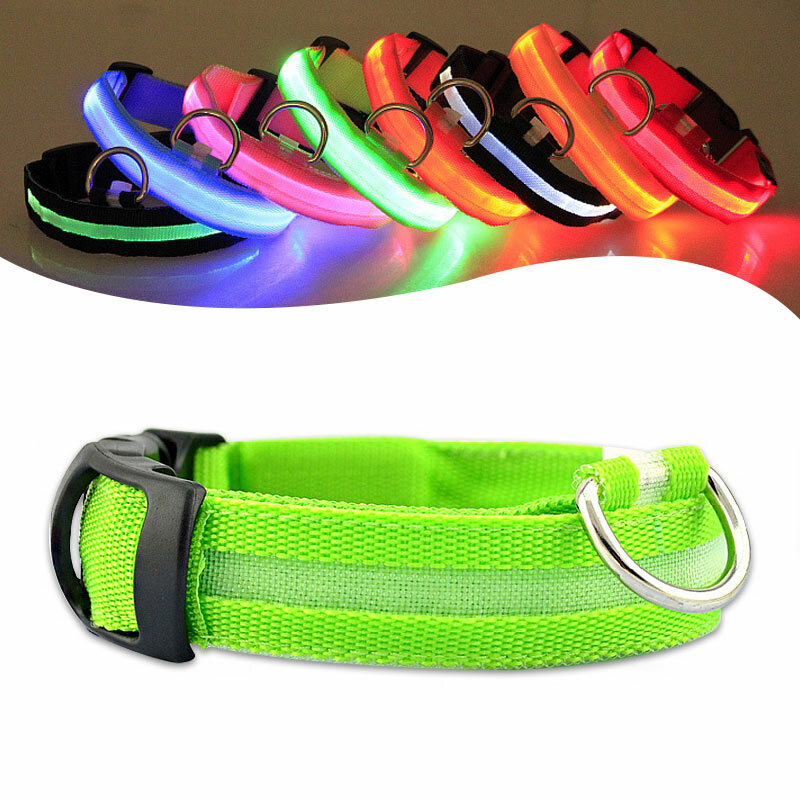 This LED dog collar is perfect for walks after sundown and letting the dog out after dusk. 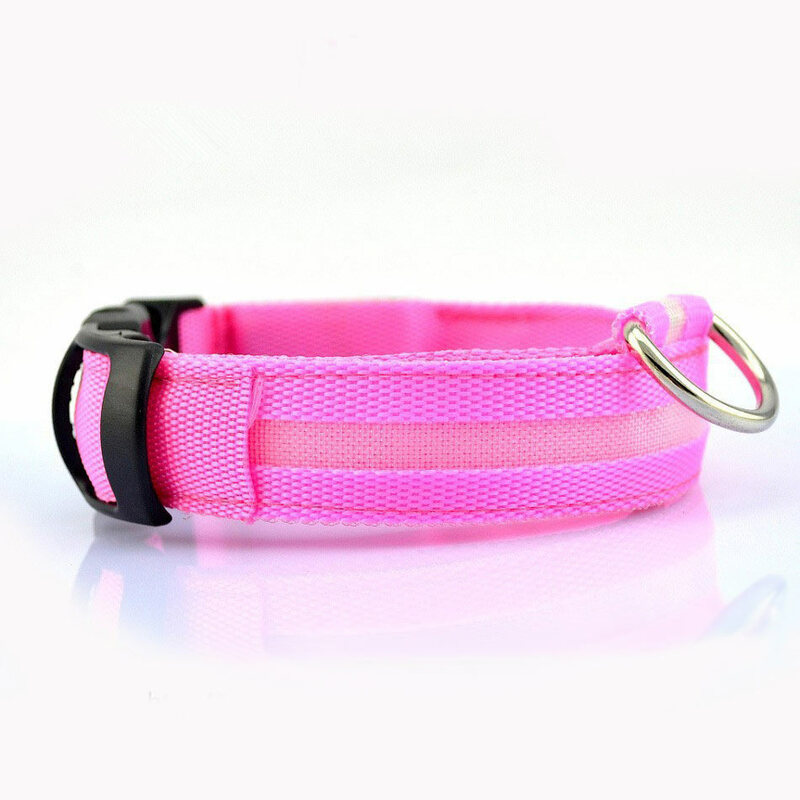 This collar is also great for dog parks and camping. Ultra bright LED lights are powered by 2 small batteries. Fast delivery. Ordered size S and is perfect for my dog. 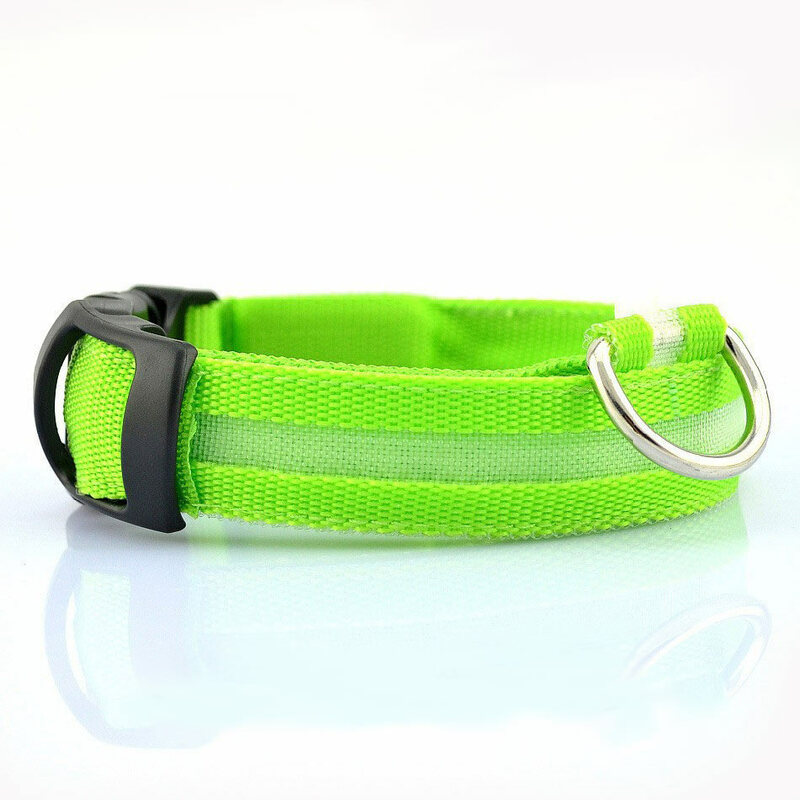 Incredible dog collar. I can really find my dog in the dark. Excellent quality. 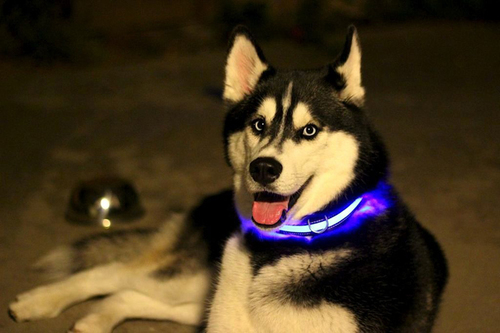 The collar has a very bright light. Really works well with 3 different flash modes. Looks good during the day and even better at night. Provides fast delivery. Although I ordered a smaller size for my dog, I still find it really good. My dog is really visible in the dark. The collar is kinda big for my dog. I ordered size M, but I think it is much better as the other size would have been too small. It has a really bright light. Perfect for my York with fast delivery. Cool collar. Shines brightly in the dark. So happy with my purchase. Bought 1 for my cat. Love it. The collar flashes in 3 modes. Excellent quality and fast delivery. Thank you.